Let me say first of all, lace and me, we don't get on *that* well. 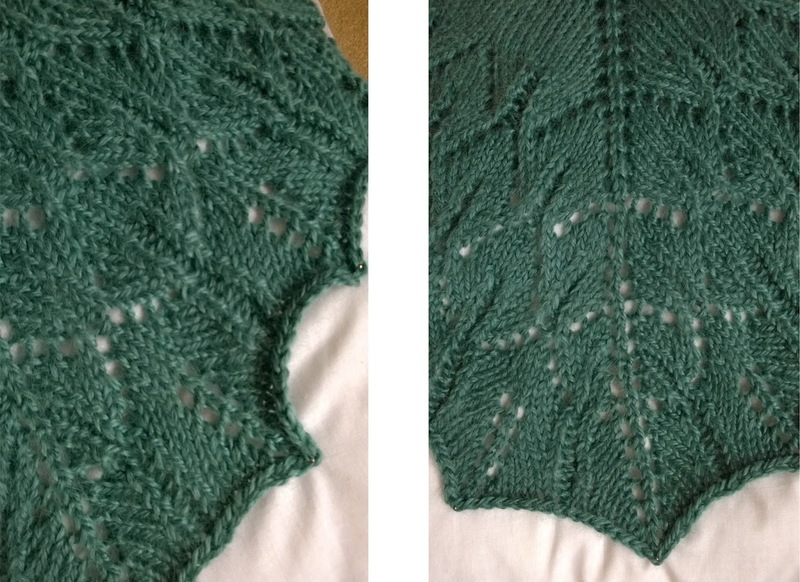 However, Zuzu's Petals looked fairly straightforward and I really need to get through some of my stash of small amounts of lovely yarn. I have a lot of yarn which falls into this category, either given as gifts (and you know, I don't mind that AT ALL, yarn gifters!) or purchased by myself thinking a little bit won't hurt, but now I find myself with piles of scarf or hat sized amounts of beautiful yarn (and it's usually discontinued, so I can't add to it to make larger garments). 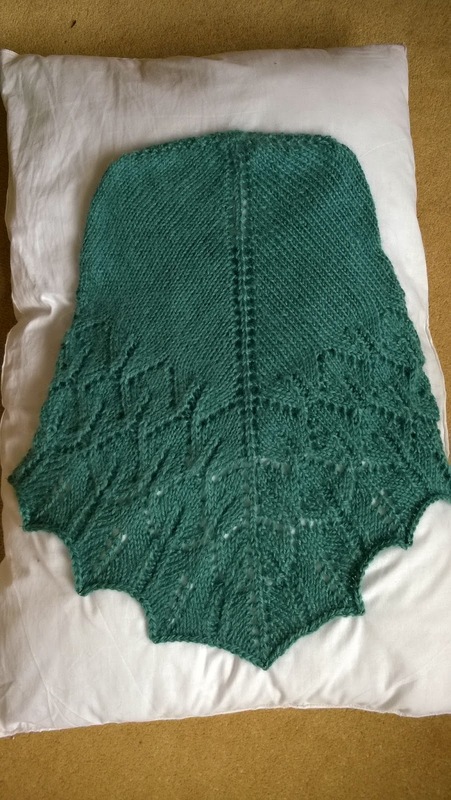 I cast on and finished this in a week, and then my mother stole it from me. 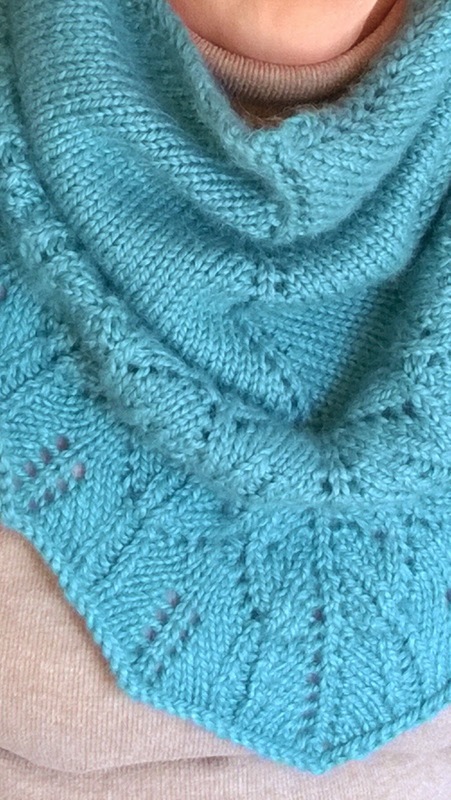 The yarn I used was shiny and cosy Debbie Bliss Alpaca Silk Aran [discontinued] in a pale cyan/aqua shade. I intended to knit the large yarn/fewer repeats version of this cowl, but after a while I realised there was no way it would fit over my head, so I did it in the large yarn with all the repeats intended for the 'smaller' yarn (I've lost you haven't I...?). This did the trick. Once I had got over the odd cast on (totally made sense when I just went with it) found all the stitch markers I needed (a lot) and my inability to count properly, it flew along, . Darkish, early morning photography, it's not this colour at all.